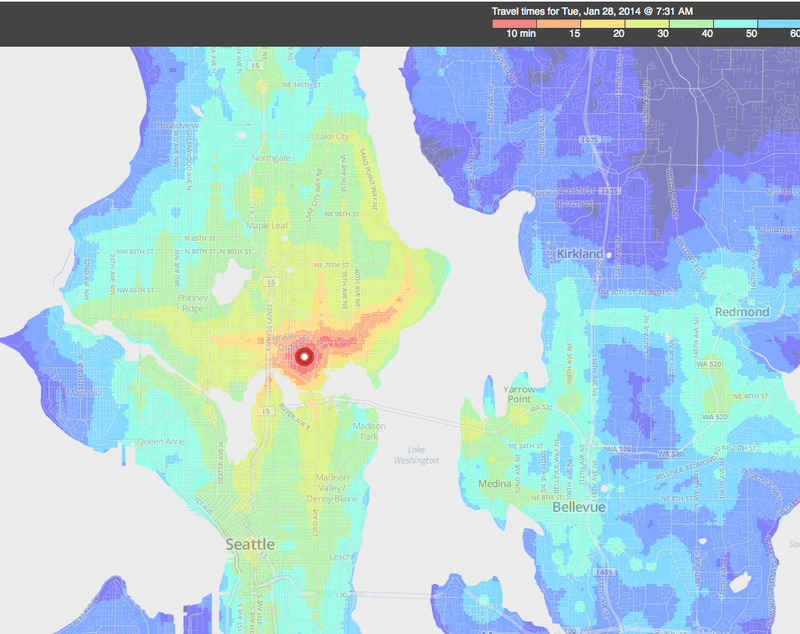 Technical leaders are building trial tools to visualize travel times by transit. Getting and formatting the data is much of the challenge. At U Colorado someone (don’t know who) has the tool and data together for Seattle, San Francisco, Denver and Boulder, Colorado. New York City has a trial tool. The graphic: My screen capture at Geoss U Colorado. Click to enlarge.